Allen Ruppersberg, born in 1944 in Cleveland, OH, has been making art for over 35 years. Much of his conceptually oriented work is based on his extensive collections of comics, puzzles, vanity-press publications, educational films, and other pop-cultural ephemera. 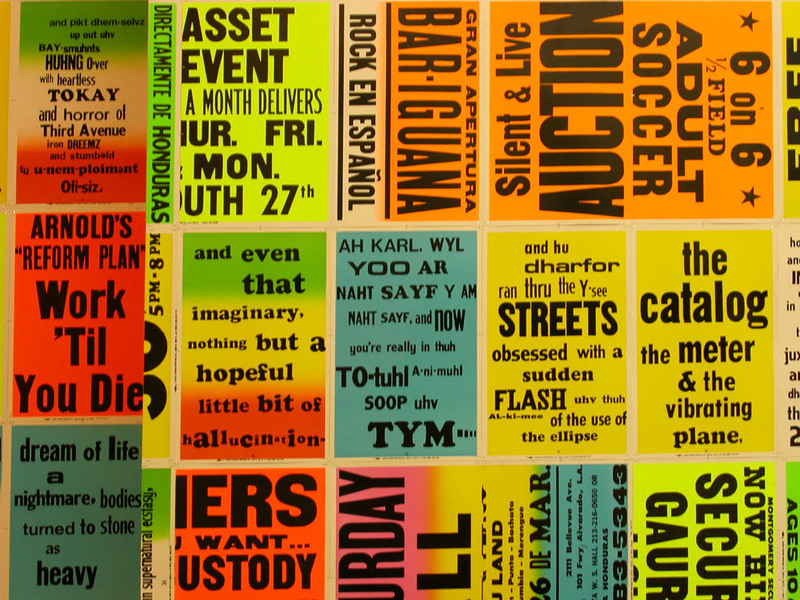 Ruppersberg, who divides his time between New York City and Santa Monica, CA, has been the subject of numerous monographs, catalogs, critical essays, and one-person exhibitions. Ruppersberg’s 2003 installation, The Singing Posters: Allen Ginsberg’s Howl by Allen Ruppersberg, traveled around the world, and his installation No Time Left to Start Again: The B and D of R ’n’ R was featured at the Art Institute of Chicago in 2012.